Going on adventures with your dog is one of the best feelings. You get to create new memories while you enjoy the beauty of the outdoors and new surroundings. So, whether you are looking for paved trails or open acreage, we have the perfect park for you. Below, we highlight the top 5 dog-friendly parks in Long Island that you should visit with your pup. If you’re looking for a park with a lot of lands, this is for you. Bailey Arboretum is a 42-acre preserve that allows you to bring your dog as long as they’re on a leash. There are numerous gardens, parks, and trails around the property that your dog can enjoy. This park is open 365 days a year and offers seven acres of meticulously landscaped gardens. This location also has many different classes, that you can attend at a later date when you don’t have your pup with you. The Bailey Arboretum makes it possible to take your dog to beautiful gardens, which is a nice change from hiking in the woods. At Blydenburgh County Park, there is a fenced-in area where you can let your dog off their leash. This dog park is split into two areas for large and small dogs. Then, there are many different trails and fields where your pup can play. Overall, this park offers two acres of fun for you to enjoy. Blydenburgh County Park also has many different water spots to keep your dog hydrated. Overall, this park has a little bit of everything for dog owners. 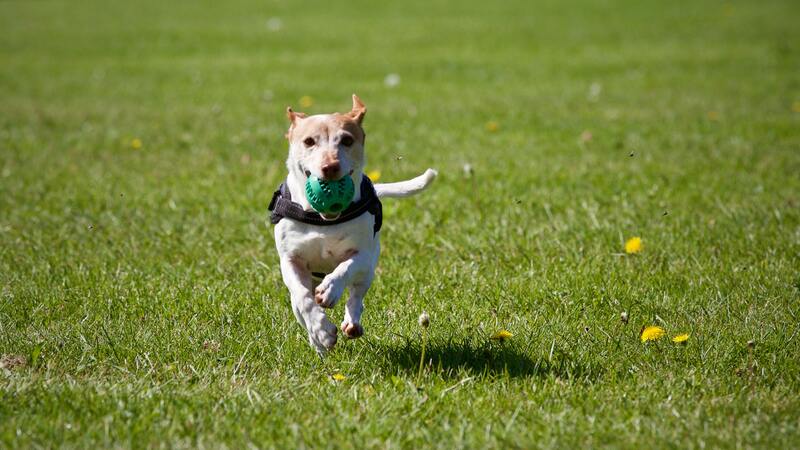 Many dog parks you go to will have fences and other man-made barriers to keep your dog confined and separated. However, with Mud Creek Natural Borders Dog Park, there are natural borders to confine your dog. This park is special because your dog can run on the beach and swim in the water. There aren’t many beaches in Long Island where your dog can enjoy the ocean. So, make sure to check this park out for a freeing experience for your pup. Heckscher State Park allows dogs to visit numerous parts of this 1,600-acre park. Dogs are allowed on the beach and any underdeveloped areas. However, dogs are not allowed in bathing areas, picnic areas, buildings, or walkways. Heckscher State Park offers four miles of paved trails that offer perfect views of Fire Island and the South Bay. When visiting this park, you must keep your dog on a leash that is no longer than 6 feet. For those dog owners that want a bit of history on their outing, the Sagamore Hill National Historic Site is the perfect destination. Formerly the home of President Teddy Roosevelt, there are trails that stretch all over the property. Your dog must be on leash while they are here, and they are not allowed in the water. However, you can walk dogs on the beach. This park is free, which is even more of a reason to take a trip out to these historic grounds. Taking your dog to dog-friendly parks can be fun, but you need to be prepared. You should never take a dog to a dog park that isn’t vaccinated. You never know what kind of dogs that you are going to run into at the park. Some dogs haven’t been vaccinated, so it’s better to be prepared. Also, remember that sick dogs and dogs in heat should stay at home. There can be aggressive dogs that go to these locations. Each park requires owners to handle their own dogs, but some owners won’t. So, even though you can have dogs off-leash we recommend keeping your dog on leash until you are comfortable. We recommend these chew proof leashes to keep your dog safe while you are out visiting these dog parks. If there are trails at the park, you can walk your dog first to tire them out. Then, you can take them to the dog park area to play off-leash. Just because your dog is well behaved, doesn’t mean others will be. Finally, please remember to bring supplies for your dog. You need to have dog bags to clean up the waste that your dog leaves behind. We also recommend traveling with a dog water bottle, so that you have access to water at all times. Lastly, you can bring along a ball or toys that you want to use at the park. All the dog park is missing is you! Now that you know where to go for a dog-friendly park in Long Island, you just need to plan your trip! Remember to have fun and enjoy these times that you have with your dog. Once you start going to dog-friendly parks, you’ll find it hard to stop.